Randall Moulton, 20, and Phillip Gardiner, 25, now face up to an additional five years each for escaping. 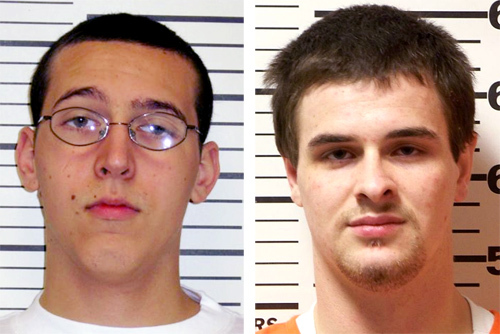 GLENBURN — Two convicts who escaped from a Maine prison have been recaptured. Authorities tell WABI-TV that the men who escaped from the Charleston Correctional Facility on Sunday were caught just after midnight today in the Glenburn area, not far from the prison in central Maine. An official says 20-year-old Randall Moulton of Bangor and 25-year-old Phillip Gardiner of Belfast were in prison for burglary and other charges. Moulton was scheduled to be released later this year and Gardiner in 2014. They now face up to an additional five years each for escaping. There was no word on whether an inmate who escaped from the Somerset County Jail on Monday had been caught.